In 2015, Newington College commemorated the Centenary of the Gallipoli Campaign and the sacrifices of some 650 Newingtonians who served — and 111 who fell — in the First World War. A highlight of the College’s Centenary of Anzac Day commemoration on 29 April 2015 was a moving ceremony in which relatives of our Fallen soldiers, along with representatives of the Newington community, affixed poppies to the Great War Honour Roll in the vestibule of the Founders Building. This ceremony had its genesis early in 2014 when The 70 Club, the College’s organisation for alumni aged 70 years or more, suggested that relatives of Newington’s Fallen be invited to take part in a re-dedication of the Honour Roll — a proposal readily taken up by the College. But how would we find these relatives? We knew of some already as members of today’s Newington community. Lieutenant James Stokes Millner (ON 1901), for example, was a member of a family famous in Newington’s history; while we had learned in 2013 that current student James Hewish is a relative of Captain Arthur Leslie Hewish (ON 1908–1910). We also knew of some relatives, including those of Corporal Hubert de Vere Alexander (ON 1896–1905) and Lieutenant Clive Stanley Crowley, DCM (ON 1905–), through the relatives’ enquiries to the College Archivist Mr David Roberts. By August last year, however, we knew of relatives of only nine of our 111 Fallen. starting with recent generations and working backwards, by identifying parents in successive earlier generations — does not usually work the other way. In the end, advertising was the most effective strategy. 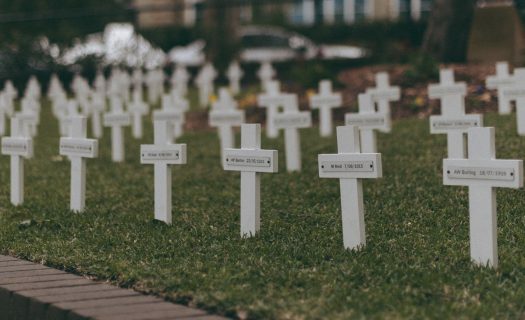 In a range of College publications and in the Sydney Morning Herald’s ‘RSVP’ section, we called for relatives of our Fallen to contact the College. By March, 2015 we had identified 48 individuals or families, representing 21 of our Fallen soldiers, to invite to take part in the poppy ceremony. In some cases, we were even able to bring together people who did not know that they had a Fallen Newingtonian in common. The participation of the relatives of our Fallen in this special poppy ceremony added a dimension not normally seen in the College’s Anzac Day commemorations. The process of finding them enriched our community and brought us many new friends. The Centenary of Anzac Commemoration Service and Parade on 29 April 2015 was the culmination of a range of projects that took place behind the scenes at the College. On the day of the commemoration, visitors were greeted by images of 26 of Newington’s Fallen soldiers on banners hanging along the Memorial and Cowlishaw Drives. The images came from photographs in the College Archives, material lent to us by relatives, and the archival collection of the Australian War Memorial. The banners remained on display for the remainder of Term 2. Another striking sight was that of 111 white crosses, each bearing the name of one of Newington’s Fallen, planted under our Lone Pine. The crosses were made by the College’s Year 7 Technology students and are being presented to relatives of the Fallen, where they had been identified.The College’s two First World War memorials — the Great War Honour Roll and the Memorial to the Dead, both dating from 1922 — needed to be in the best possible condition for their important roles in the ceremonies on 29 April; therefore, the College’s Property Department oversaw their expert repair and refurbishment in the months leading up to the event. During Term 1, our Year 9 Civics History students worked in groups to research and write about the school careers and war service of our Fallen soldiers. This work was assisted by a grant from the Commonwealth Department of Veterans’ Affairs. The work on the Great War Honour Roll provided an opportunity to replace an unprepossessing old cabinet which housed the Roll of the Fallen, with a beautiful new mobile cabinet which matched the wood of the Founders Building vestibule. The Roll of the Fallen itself — a volume containing the names of Newington’s Fallen from both World Wars, presented to the College by the Old Newingtonians’ Union in 1961 — was updated in fine calligraphy with three missing names from the First World War, through an initiative by The 70 Club. The name of a Fallen Newington soldier, recently identified, was also added to the Great War Roll of Honour. The reading of the Roll of the Fallen, a staple of Anzac Day services for nearly a century, took a new form in the College’s Centenary Service. 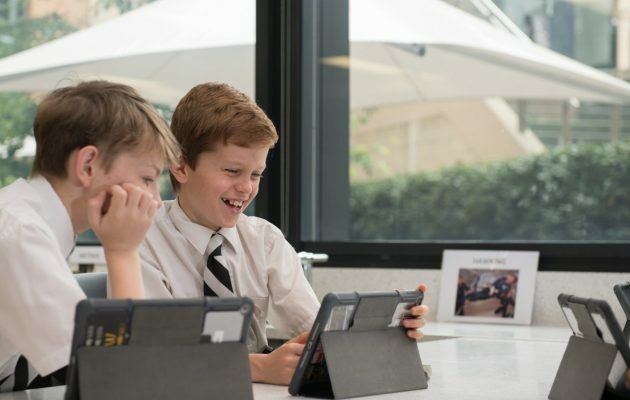 In a moving video produced by Ms Amy Yang, of our Communications Department, Year 9 students read the names of each of the Fallen over the haunting music of ‘Benedictus’ from The Armed Man: A Mass for Peace by Karl Jenkins, while photographs of the Fallen and other wartime imagery, appeared on screen. The students used a range of College and online research resources, including digitised copies of the WW1-era issues of The Newingtonian. Selected assignments were available for our visitors to read on 29 April. This research assignment was repeated in Term 3 for those students studying Civics History. Following the Parade, Service and poppy ceremony, guests were invited to explore an exhibition, Newington and the Great War, in the Chaplain Peter Swain Archives Exhibition Room which is open for the rest of 2015. An essential support for a number of these projects has been the collection and verification of a large amount of information about Newington’s First World War soldiers and its collation and integration into a structured database format with existing information resources.